When you think of digital marketing, there are a few big names that come to mind. We were lucky and honored to gather in Orlando with three of those giants and a group of our dealers to discuss the present and future of digital marketing for dealerships. Some of our Florida-area dealers were invited to attend an event with Google, Facebook and Bing to benefit from each company’s research and insight into the online retail process. Timothy Mueller, Automotive Retail Strategist from Google, spoke to dealers about the power of combining YouTube with traditional television media for a multi-channel strategy. Greg Resnick, Account Strategist from Facebook, dove into the consumer lifecycle, and how dealers can be present during that cycle using social media. Mariano Medina Walker, Director of Partner Development for Microsoft/Bing explored the power of demographics and how online search data can help dealers make the most of their search advertising. Naked Lime specialists were on site to answer questions about how our services could help dealers take action on the ideas presented by our guest speakers. By all accounts, the event was a huge success, and we thank all the attendees who took time away from their dealerships to invest in their marketing. We also thank our partners at Google, Facebook, and Bing for helping us help our customers. Special thanks to the Citrus Club in Orlando for their hospitality and assistance in making sure our guests felt welcome and the event ran smoothly. 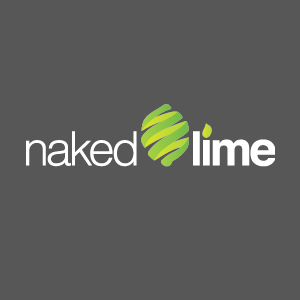 We look forward to hitting the road for more events, so watch for news or ask your Naked Lime rep when we are coming to a city near you.